ASI, E114 Dispenser Keys. 10 - "NEW" (OEM) ASI - E114 Dispenser Keys. The E-114 Locking System is also used to open ASI's Surface Mounted and Recessed Waste Receptacle access panel. for Hand Towel, Toilet Tissue & Soap Dispensers. 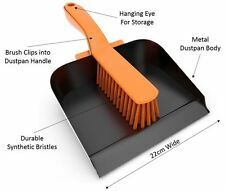 Dustpan Width 22cm. 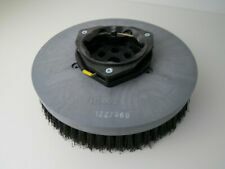 Soft PVC Bristles. Plastic Handle. Variable Pressure Washer Jet Nozzle Lance With Quick Release Connector. 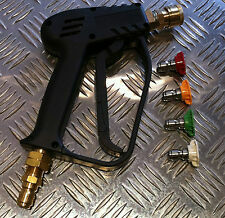 Quick ReleaseMale Connector For Various Pressure Washers Gun. 1x GREEN TIP 25 Degree Spray. 1x RED TIP 0 Degree Spray. 1x YELLOW TIP 15 Degree Spray. 1x WHITE TIP 40 Degree Spray. Capacity: 1 Litre. Provides excellent cleaning properties for all catering surfaces. 33% extra FREE. During that process you will be issued with an RMA number. A perfect balance of softness and strength embossed with andrex puppies. High quality tissue. Colour - White. During that process you will be issued with an RMA number. Hand Towel, Roll Towel, C-Fold/Multifold Towel, Center-Pull Towel and Bath Tissue dispensers. Master Set of Kimberly Clark Dispenser Keys. 11 - "NEW" (OEM) Kimberly Clark Dispenser Keys. Finally, a complete set of every Kimberly Clark dispenser key on a master key ring. M22 Male x Quick connect coupling and 4 tip set. Karcher Short Jet Pipe (4.402-022.0). This K-part screw union is ideal for fastening accessories directly onto the trigger gun. It has a M 22 X 1.5 trigger gun connection and a M 18 x 1.5 Nozzle connection. 5130223, 5.130.223, 51302230. KARCHER Clear Plastic Cover For Puzzi Hand Tool order no. 5.130-223.0. All our products sold areGenuine Karcher. Karcher Center Aquaspray. Puzzi 8/1, Puzzi 100, Puzzi 200. Part Number: H2B - K2B. Material: Solid Brass. Coupler Body: 1/4" Valved. Plug Body: 1/4" Valved. TOTAL Floor Cleaner: Asuper effective anti-bacterial floor cleaner that is designed for regular use on all types of floors maintains clean and hygienic conditions. Remove DIRT, GREASE AND KILL BACTERIA. 2884877, 2.884-877, 28848770. KARCHER Set Of Valves Order no. 2.884-877.0. All our products sold areGenuine Karcher. Karcher Center Aquaspray. 7 Causeway Park. Spare Part. Alternative Part Numbers. Phone: 01925|444464. Darcy Oil Selective Sorbent Large Anti Static Roll. Grab Yourself a Bargain. Whisper Washer WP-2000 classic yellow 20" flat surface cleaner. This 20" Whisper Wash has the following specification(s) Whisper Wash WP2000. Balanced spray bar. Balanced and machined spray bar. Quick hose connection. 2 x 5 Litre Heavy Duty Degreaser. Powerful multipurpose degrease effective on FAT,OIL AND GREASE in industrial areas,restaurants and takeaways. WE DISPATCH OUR GOODS USUALLY WITHIN 24 HOURS. Long Handled Churn Brush "Gong Brush". Colour Coded for Hygiene Purposes. Stiff Hard Wearing PVC Bristles. Extra Long Reach - Total Length 50cm. Moulded Hand Grip on Handle. 4 LITRE PRESSURE SPRAYER. This sprayer is suitable for most industrial purposes. Made of special, high-resistance materials for use with various chemicals. All seals incorporated in this MULTI range are Viton. Solvent Capacity 3.5 Gallon. Tank Capacity 5 Gallons. Max Pump Output 3.9 GPM. Easy Cleaning. It boasts superior strength, ozone, abrasion and kink resistance. Pressure Washer Hose With Coupler. (1) One 22mm x 22mm Brass Hose Connector. (1) One 50' pressure washer hose. Hose: 1/4" ID x 50' Long. 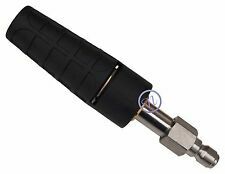 Genuine Karcher K-Series hose adaptor 3/8"M to K-series quick release. This socket will screw onto a3/8"F outlet and allow you to connect the newer type quick release Karcher K Series hose to it. The 1/4"QC plug inlet on the undercarriage cleaner connects to pressure washer wands which accept color coded nozzles. This undercarriage cleaner has four nozzles and two casters to easily clean under vehicles. IF IT DOES SOMPLY CHANGE THE FITTINGS AROUND ON THE INJECTOR TO WHERE THE FLOW RATE ARROW IS POINTED DOWN STREAM (AWAY FROM YOUR MACHINE). IT IS IMPOSSIBLE FOR US TO KNOW HOW YOUR MACHINE IS SETUP SO DO NOT PUTCHASE IF YOU WILL GET MAD THAT YOU MAY HAVE TO SPEND 20 SECONDS CHANGING THE FITTINGS AROUND ON THIS INJECTOR! INTERFOLD/V FOLD WHITE 2PLY HANDTOWEL. SOUTHERN IRELAND, NORTHERN IRELAND, ISLE OF MAN, CHANNEL ISLANDS, ISLE OF WIGHT, HIGHLANDS OF SCOTLAND, SCOTTISH ISLES. SHEET SIZE: 24cm x 22cm. If You Find This Item Anywhere Cheaper I Will Match The Price. Kit Contents: 3 x Absorbent socks 8cm x 1.2m 10 x Absorbent pads 40cm x 50cm 1 x Disposal bag & tie 1 x Instruction and contents sheet 30Litre absorbency approx. EVO absorbents are designed to absorb more oil and oil-based liquids, weight for weight, than comparable polypropylene absorbents. Treated with a blend of additives to maximize water repulsion, flame resistance and protection against molds and other microbes. EVO pads are a high loft and extremely soft, yet tough, cost effective product for absorbing all common, non-hazardous fluids and be safely used on oils, fuels and solvents. All EVO absorbents are made from sustainable natural fibres, recycled natural textile remnants, which replace non-renewable synthetics. Kimberly Clark 7471 WYPALL L40 Wipers. SOUTHERN IRELAND, NORTHERN IRELAND, ISLE OF MAN, CHANNEL ISLANDS, ISLE OF WIGHT, HIGHLANDS OF SCOTLAND, SCOTTISH ISLES. 6 Rolls Per Case. Pure virgin Pulp Paper (Quality paper at 18.0 GSM Per Ply). WE DISPATCH OUR GOODS USUALLY WITHIN 24 HOURS. System Hygiene Dispel Odour Neutraliser is a fast acting neutraliser with a zesty lemon fragrance. Designed for use on any surface to combat unwanted odours such as urine, tobacco smoke, perspiration, rancid food, pet odours and vomit.